What’s the difference between a bay window and a bow window? Both will do much to open up a room and let it breathe, giving the appearance of more space and letting in more light while adding a splash of glamour to any room. A bay window always has three windows – two smaller frames on either side of a large picture window. A bow window, on the other hand, can have four or more windows and all the same size. Does your window look like it needs to be cleaned in-between the two panes of glass? If you’re finding fog inside the window, it’s most likely due to a bad or broken seal. The gas/air in-between the panes of glass gets heated and cooled thought-out the day by changes in weather and HVAC systems. This naturally expands and contracts the seals, allowing some air to enter and some to leave. The goal is to only let the minimum requirement of air be transferred from the seal so no moisture enters the window. Once the window’s seal had been broken to a point where air enters the window will eventually take on moisture from the natural atmospheric pressure. The fog will slowly appear and only will only get worse. Are Wize Home Direct windows different? So many great things we can say about our exclusive Earth Wise Windows. They are the only replacement windows built just for your climate in the USA. custom build windows and patio doors specifically for you, in the configurations that perform best in your local climate. 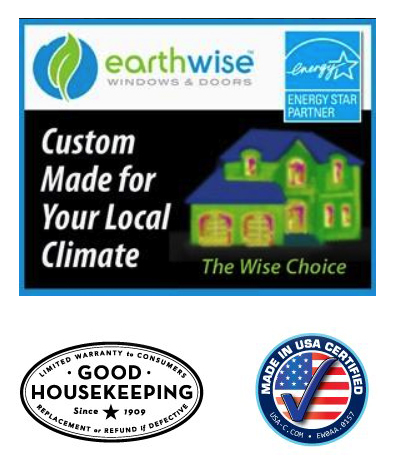 Our replacement windows are backed by the Good Housekeeping Seal that represents the highest standards of quality and a Limited Lifetime Warranty for your peace of mind. Why are my windows so hard to open? Wood windows are difficult to operate because wood expands in the heat. When you attempt to open the window in the summer, it becomes stuck because the wood has swelled, making a smooth opening and closing hard. With vinyl windows, this same operational difficulty can occur. Vinyl windows have a spiral bound mechanism inside which can dry out, making it tough to move the window up and down. Wize Home Direct’s Replacement Windows offer high-performance windows that are made with an advanced, proprietary vinyl compound that exceeds requirements for strength and durability. Our proprietary compound resists the harsh effects of weather and ultraviolet light much better than other available materials. How does air escape through a window? There are many places on a window where heat and air can escape: in between the top and bottom sash, through the frame, or through the glass. If you feel drafts from your windows it could be a sign you need new windows. Are Wize Home Direct Windows Energy Efficient? Our Windows & Doors are designed and built to meet the highest standards of energy efficiency. 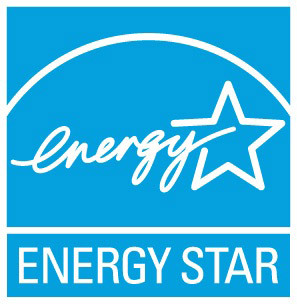 With high‐performance options, all Earthwise products meet or exceed ENERGY STAR standards and have earned an Energy Star Manufacturing Partner Status. Our windows and doors are built with the most thermally-efficient glass packages available today. Our replacement windows are available with argon gas filling, Warm Edge® insulating spacers, and low-E glass. This high-performance glass reflects radiant heat back into your home in the winter and keeps harmful UV rays away from your home in the summer. If you would like to talk with one of our window experts we would be happy to give you a free window consultation just give us a call at 828-212-0580.